Every parent dreams of seeing their kid graduate from college — and for parents who may not have gone to college themselves, their son or daughter’s degree is an incredibly important achievement. For “first-gen” students — those who are the first generation in their family to pursue college education — this new road can be unfamiliar and difficult. If you’re the parent of a first-gen student, you’re also likely to encounter plenty of unfamiliar situations yourself. From researching colleges to submitting applications to making the big move, the world of higher ed often has its own unique jargon, and you may feel overwhelmed as you try to help your student negotiate it. This can be especially true when you’re dealing with financial aid. 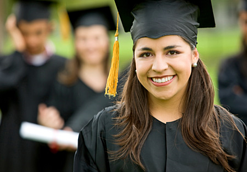 As I wrote over at FirstGenerationStudent.com, “Even with parents who attended college and worked in education, I still had a tough time figuring out the financial aid system,” and without firsthand experience, the deadlines and options and acronyms can be challenging. That’s why we’re here to help. 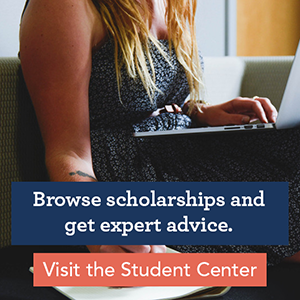 The first and foremost thing you and your student need to do is to fill out the Free Application for Federal Student Aid, which you’ll usually see referred to as the FAFSA. In order for your son or daughter to qualify for any student aid from the U.S. government, it’s required that you submit a FAFSA — and many state, local and college-based aid programs also require it. When it comes to financial aid, the FAFSA is the most important document you can fill out. So what is the FAFSA, exactly? Essentially, it takes information from your W-2 wage statements and your federal income tax return, and uses that to calculate how much your family should be able to pay toward your child’s college education. That’s the most important thing to keep in mind: despite some occasionally confusing wording and references, the purpose of the form is simple: gather a picture of your family’s finances, and figure out how much tuition you can afford to pay. The form opens for submissions every year on January 1, and can be found and submitted at the FAFSA website. It must be filled out every year that your student is in college, though it gets a lot easier after the first one. The federal deadline for submission is June 30, but we recommend filling it out sooner than that; some assistance programs are first-come, first-served, and some states have earlier deadlines. (You can find those here.) To get started, you and your dependent student should both create a PIN (personal identification number), which acts like a password so your application is secure. Once you do start answering the series of questions on the FAFSA, you’ll very likely want some help. The StudentAid.gov website offers a number of options; you can also look at resources like First Generation Student, and check in your community for College Goal Sunday events, where local volunteers help families complete their forms. If you or your child are on Twitter, @FAFSA hosts a monthly chat using the hashtag #AskFAFSA, where you can get answers to your questions live. And, last but not least, your student’s high school counselor can be an excellent resource, as can the financial aid office at their potential college. The FAFSA, and the financial aid world, can be confusing, no matter what your level of experience. But, like we said above, the goal of the form is simple: to look at your finances and ensure that your student gets the appropriate amount of financial assistance. So don’t be intimidated — just follow these basic steps, and your student will be that much closer to their dream of a degree.